Within this short but informative webinar we will share some new exciting research within the pain science community that reinforces the role of kinesiology tape in your practice/facility. We will discuss how to apply tape both quickly and effectively to complement your current treatment and training modalities. From pain to performance, we will communicate the most advanced, research based, methods of approach to make a difference in the lives of those that you come in contact with. This course is intended for practitioners and therapists with all levels of experience with taping. 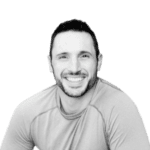 Dr. Capo is a practicing sports chiropractor currently holding a Diplomate in Rehab from the ACA, in addition to a Performance Enhancement Specialists certification from the NASM. He focuses his attention on identifying movement dysfunction in an attempt to recover from injury and enhance human performance. He is the current medical director of RockTape (Kinesiology Taping Company) and authored the “Fascial Movement Taping” manual and lectures globally on human movement and functional taping methodology.